On Saturday, October 13, 2018, EdUCate! will host its 10th Annual Oktoberfest at Standley Park, 3585 Governor Drive. There will be games, food, beverages, music, a bake sale, booths and a beer & wine garden. 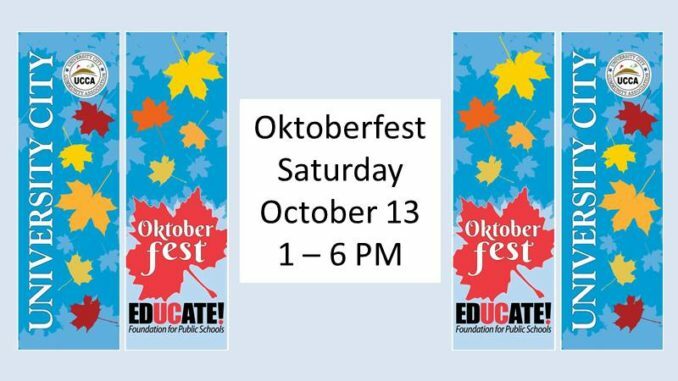 Each year Oktoberfest attracts thousands of San Diego parents, educators, and community members to this fun-filled afternoon that raises money to improve the quality of education in University City public schools. Library on Governor September 2018 Program Highlights & Book Sale!